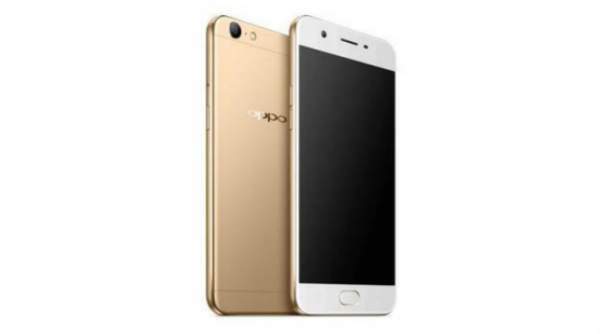 Oppo A57 Price, Specifications, Features: Oppo, particularly famous for selfie smartphones, is providing good competing in the market. The camera of the Oppo smartphones is delivering good results to the users. Oppo launched their A57 in the country on Tuesday. The device will be available in the stores as well as at the online stores like Flipkart, snap deal and Amazon India. The online selling of the smartphone will commence from 3 February. “When we saw the demand for the great 16-megapixel selfie camera on the F1s, we set out to bring that experience to an even wider range of users. The A57 brings consumers premium photography and advanced features, like the industry-leading fingerprint reader, that goes well beyond the conventional boundaries for this price segment” were the words of Sky Li, Oppo VP and M.D of International Mobile Business. Oppo A57 comes with a 5.2 inches IPS LCD with a high resolution of 1280 x 720 pixels and 2.5D curved screen. There is a protection of Corning Gorilla Glass 4. 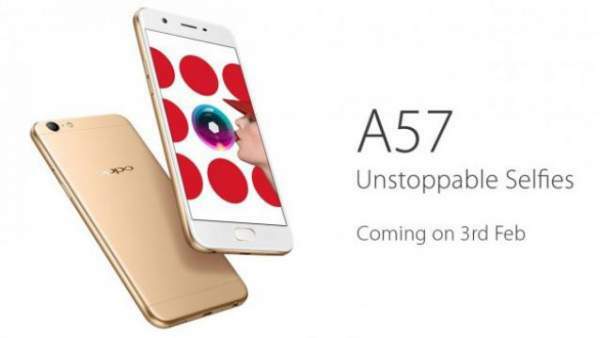 A57 is powered by an octa-core 1.4 GHz Qualcomm Snapdragon 435 SoC along with Adreno 505 GPU. The processor o A57 is coupled with 3 GB RAM and 32 GB internal memory. The inbuilt memory of the device can be expanded up to 256 GB using a microSD card. A57 runs on ColourOS 3.0 based on Android OS v6.0 Marshmallow. The device has the backup of 2900 mAh non-removable Li-ion. Sensors like accelerometer, gyroscope, and compass and proximity sensor are also available on the smartphone. There is a rear camera of 16 megapixels with an aperture of f/2.0, and there is a primary camera of 13 megapixels f/2.2 unit with PDAF and an LED flash with phase detection autofocus and LED flash. The front shooter is of 16MP f/2.0 unit with support for screen flash and Oppo’s ‘Beautify 4.0’ . Check: Xiaomi Redmi Note 4 Flipkart next sale. The camera offers features like Geo-tagging, touch focus, face detection, HDR, and panorama. Other connectivity options like Wi-Fi 802.11, Bluetooth v4.1, GPS, radio, and microUSB v2.0 with USB host. There is a fingerprint sensor in the device embedded in the home button. The device weighs about 147 grams, and its dimensions are 149.1 x 72.9 x 7.7 mm. The device is present in a single color variant which is gold. Oppo A57 is priced at Rs. 14,990. This device was unveiled in China in the last November at a price of CNY 1599 (roughly about Rs. 16000) in two different colors variants- Rose Gold and Gold. It will go on sale on February 3, 2017. The interested one can order the smartphone either from the e-commerce websites like Amazon.in, Flipkart.com, Snapdeal.com or the retail stores. Hope you liked the article, Stay tuned for more updates.